Mr Green online casino is a relatively new brand, but it took the online casino world by storm. It was launched in 2008 in Sweden, but only in 2012 it was introduced on the international market. In less than 3 years, it became one of the most known casino brands and it’s rare to find someone who haven’t seen the mysterious Mr Green. We can go on about the reason what it became such a huge success: the catchy image, amazing design, variety of games, etc… But the main reason is very simple- it’s just very very good. That’s also the reason for the multiple awards that it won during the past few years. Restricted Countries: United States, Denmark, France, Italy, Spain. Click here for USA online casinos. Mr Green casino have a nice 4 deposit welcome package which can get you $/€/£ 350 free. 2nd Deposit: 50% bonus up $/€/£ 50. You need to deposit $/€/£ 100 for the maximum bonus. 3rd Deposit Bonus: 25% up to $/€/£ 100. 4th Deposit Bonus: 125% up to $/€/£ 100. Make a deposit of $/€/£ 80 and get $/€/£ 100 bonus. The minimum deposit amount is $/€/£ 10. The wagering requirements are 35 times the bonus amount and after you complete the wagering the bonus is cashable, which is very good. These days, Mr Green have a special no deposit bonus for UK and Aus players. If you sign up today, you will get 10 free spins, no deposit required. UK players will get free spins on either Starburst, Fruit Shop or Scarface slot machines. Australian players will get 10 free spins on Lights slot. Mr Green is a multi-software online casino and offers games from Microgaming, Net Entertainment (NetEnt), IGT, Bally Technologies, Evolution Gaming, NYX Gaming. In total very are over 600 different casinos games and over 450 online slots. 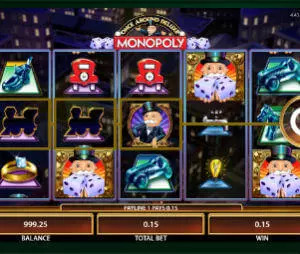 Besides the regular slot machines, Mr Green is home to the most famous online progressive jackpots, such as Mega Fortune, Mega Moolah Mega, Cleopatra Mega Jackpot, Monopoly Mega Jackpots and many others. In its relatively short history, Mr Green made quite a lot of new millionaires. The latest big winner was a player from Sweden which won the Mega Wonder jackpot worth € 859,000. The average reported pay out at Mr Green is 97% which is tremendous. Mr Green is a flash casino, meaning you do not need to download any software in order to play – all the games are available in flash version. In most casinos I prefer downloading the software, but that is due to the fact that the flash version of many casinos is just not good enough. That is not the case here. Mr Green flash casino is just perfect – it’s smooth, clear and the only time I got disconnected is when i had a power cut at my neighbourhood. Mr Green is available on all mobile platforms, iOS, Android, windows phone, etc. There are plenty methods which you can use for deposits and withdrawals, such as Bank Transfer, EntroPay, Maestro, MasterCard, Neteller, Paysafecard, Skrill, Visa, Visa Debit, Visa Electron. There are few methods which you can use only for making a deposit and these are ClickandBuy, Trustly, Ukash. The cashout process is fast and simple. The withdrawals are processed within 24 hours and within 48 hours during the weekend. Another amazing thing about Mr Green online casino is their “Green Gaming” policy, which allows you to limit in advance the amount you can deposit, wager or lose during the week. Some other casinos do offer that option, but none are that up front as Mr Green. You can contact the support by email, phone and Live Chat. Email support is available 24/7. Unfortunately phone and Live Chat are available only from 6am to 11pm UK time. That’s pretty much the only thing that I wish Mr Green would change. Amazing design, unending variety of slot machines and other casino games, professional support, fair and secure. On top of that add a 100% cashable welcome bonus. One of the best casinos out there.